The 11:11:11 UpStage Festival is brought to you by the dedicated efforts of a team of (largely unpaid) artists, organisers and techies. 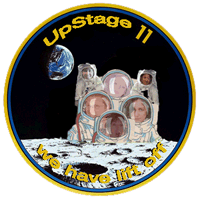 If you think we’ve done a good job, you are welcome to show your appreciation in the form of a donation to UpStage. Artists: Christina Papagiannouli, Evi Stamatiou, Marlena Corcoran, Marischka Klinkhamer, Vicki Smith, Ben Unterman, Petyr Veenstra, Floris Sirag, Gabriella Sacco, Valentina Tibaldi, Paula Crutchlow, Helen Varley Jamieson, Olivia Furber, Harry Giles, Cindi L’Abbe, Karoline Anderson, students from Te Tai Poutini, Hannah, Ellen and Joanne, Katarina DJ. Urosevic, Francesco Buonaiuto, Inge Hoonte & Birgit Bachler. Developers and server admins: Douglas Bagnall, Paul Rohrlach, and the current team of AUT students: Heath, Vibhu, Corey, Karena and Nessa.